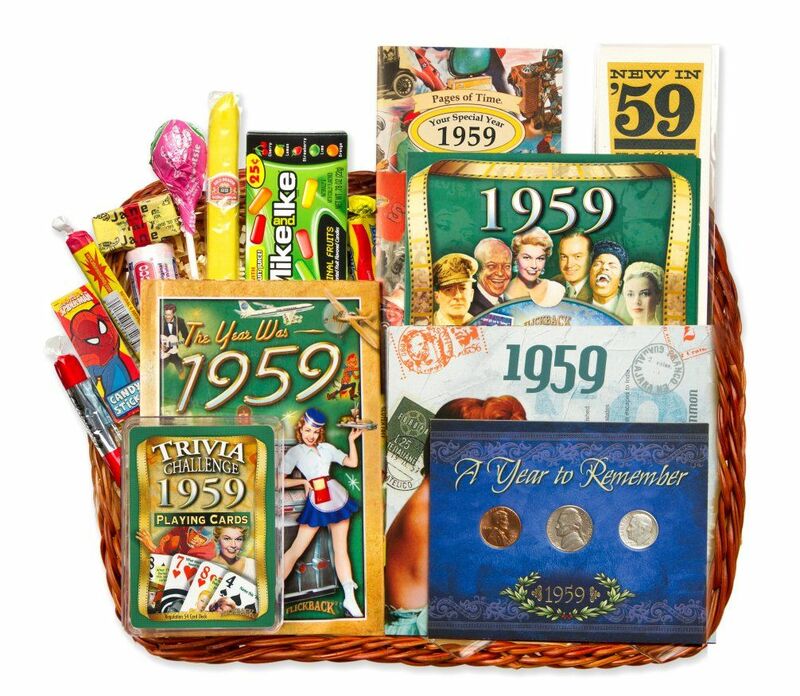 60th Birthday Gift Basket with Coins for 1959.
the year 1959 penny, nickel and dime coins that have been circulated to help you remember that time. and a 1959 color hardcover minibook which includes more facts and prices from that special year. We even include a fun deck of our 1959 trivia playing cards! All this is wonderfully shrinkwrapped in a bamboo gift basket. Note: Items in basket may be arranged differently than shown in the picture for shipping purposes. On the outside of the box, we include a year gift card! 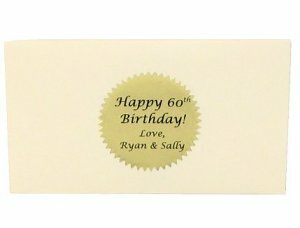 You can personalize the card envelope with a 50 character message for an additional $5.00 by entering the message on this page. .
My old friend was turning 60 and I had no idea what to get. This fit the bill exactly. Company shipped fast. My buddy was turning 60 and has everything, so I found this and gave it as a 60th birthday gift. He enjoys trivia and history, so he really enjoyed it. Would shop here again. Have you thought about doing a real unique 60th birthday gift this year for someone special? You could opt to make your own 60th birthday gift basket. One of our customers shared this idea: take a stainless steel bucket, and decorate it with the birthday girl or boy's last name, then attach a variety of wild colored stickers to the bucket. Fill it with their favorite soda, beers or nostalgia drinks they enjoyed from their childhood, like grape nehi or root beer. Add to the bucket some of their homemade goodies from their childhood, like their favorite cookies or brownies and you have a unique 60 gift basket. If you'd rather not create your own concoction, you can buy of our many 60th birthday gift baskets from our store and they will ship out the same day during the week for a quick delivery to your destination. 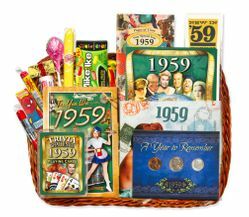 we have gift baskets geared toward women, men, or just the specific year, filled with stamps or coins. So many great gift choices for you to consider.